If the curriculum vitae of the each member means anything, then Snakecharmer should be a dynamic and prolific band. 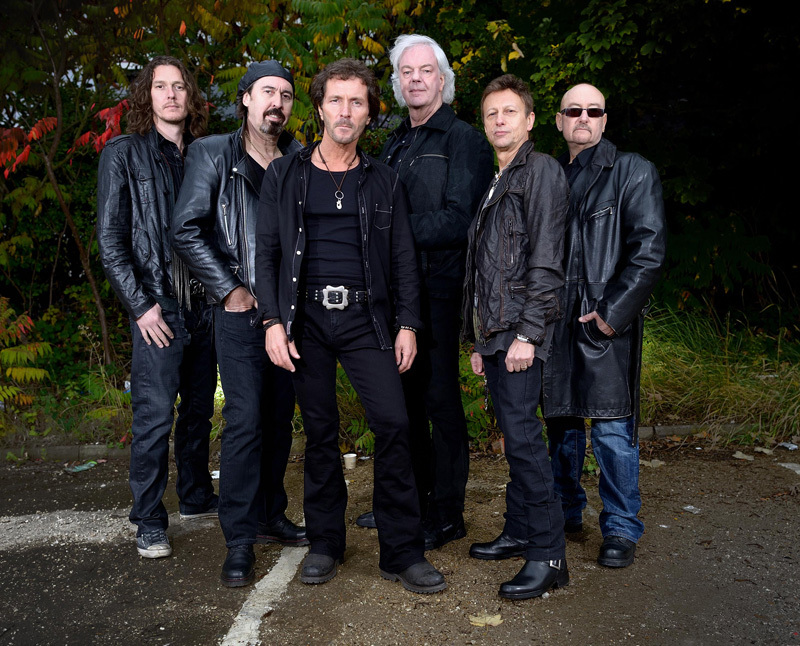 The band was formed several years ago by former Whitesnake members Micky Moody and Neil Murray and includes the likes of Laurie Wisefield, Harry James, Adam Wakeman (Rick's youngest son) and Chris Ousey. The may not be household names to some, but the played the big time with artists like Wishbone Ash, Black Sabbath, Ozzy Osbourne, Tina Turner, Gary Moore, Magnum, Thunder, Michael Schenker Group, Brian May Band, and Heartland. Snakecharmer:: enlarge and find the coffee cup. While that's all rather impressive, I was a little skeptical at the start when the promo sheet referenced early Whitesnake with touches of Bad Company and Foreigner. The melodic rock realm does not need another Whitesnake. And you won't get it here. However, what you do get is solid melodic hard rock with a definite blues vein flowing through it. Micky Moody plays a mean slide guitar. Moreover, you could also describe the overarching sound as 'soulful' blues laced melodic hard rock. This comes mostly from the tenor of Chris Ousey's vocal style, an earthy, yet smooth performance which drips with emotion. You get this on a rocker like Stand Up, but also on something more subtle like Falling Leaves. That latter song with A Little Rock and Roll are the only really mild, ballad-like, songs here, though the second cranks up in the second half. Mostly, this is a rock album. It's not heavier punishing hard rock, nor is it drive down some breezy Westcoast avenue. It's simply solid and well-balanced, groove-laden and blues-dripping, melodic hard work. It's well-crafted and sounds great, though several songs didn't have quite the spark of others. Nevertheless, Snakecharmer's debut album is easily recommended. I can't wait to hear more in the future. 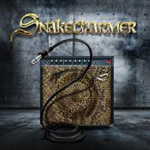 Bursting with talent and experience, Snakecharmer offers an album packed with groove-laden, blues-dripping melodic hard rock.